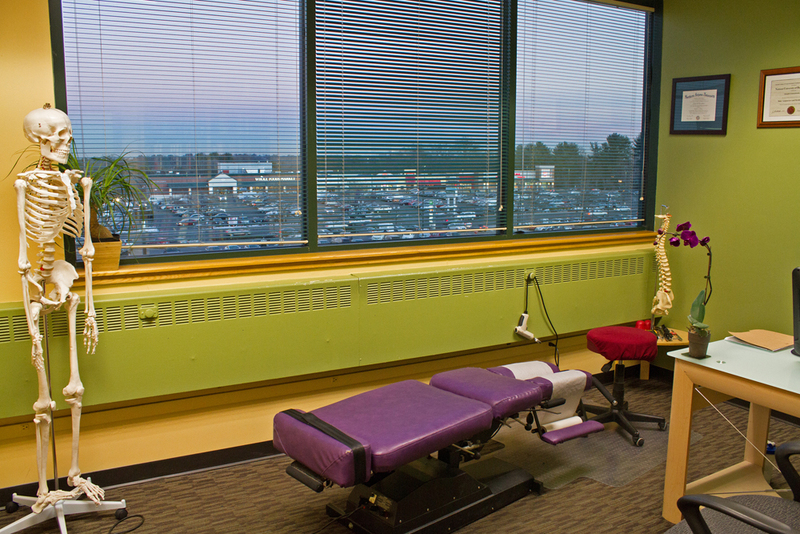 Why Choose West Hartford Chiropractic? 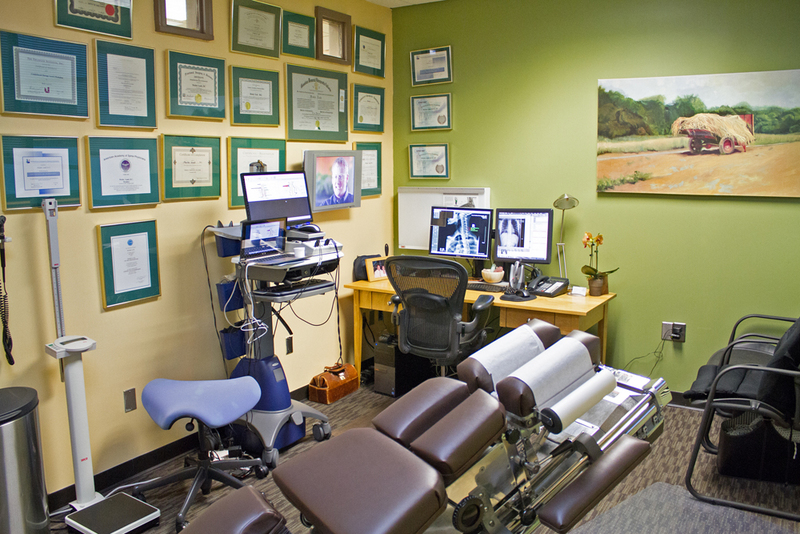 West Hartford Chiropractic, LLC, is a state-of-the-art family wellness center which combines modern technology with proven chiropractic techniques. From back and neck pain to headaches and limb pain, we provide acute and chronic care. We also provide guidance, exercises, and treatment to achieve long term wellness. Pregnancy care, including the Webster Technique, women's health, and Nutritional Counseling, Craniosacral Therapy, Acupuncture and Physical Therapy are also available. We are a Primary Health Care Provider, licensed, trained, and equipped to diagnose and treat patients directly at our facility. We also work closely with the Greater Hartford Medical Community for consultations & co-management when needed. We are located at Bishop's Corner in West Hartford, CT, with convenient morning and evening office hours five days a week. When Should You Call West Hartford Chiropractic? Cold Laser Therapy, Interferential Therapy (I.F.C. ),Premodulated Therapy, High Voltage Therapy( H.V. ), Electro Muscle Stimulation (EMS), T.E.N.S., Ultrasound , Myofascial Release, Chryotherapy, Moist Heat Therapy ( Hot Packs), Intersegmental Traction, Weight Bearing Ambulatory Traction ( VerteTrac), KinesioTaping, Therapeutic Exercise & Rehabilitation. Founded by Dr. Moshe Laub, Doctor of Chiropractic (DC), and staffed with the best team of health care professionals, we use cutting edge chiropractic expertise combined with the most modern tools and technology to diagnose your specific problem. Next, we determine the appropriate course of treatment. In most cases, we are able to treat your problems directly at our facility. We work in a multi disciplinary fashion, and, when needed, we may refer you to other specialists in the general medical community. We accept most medical insurance plans and offer various financing options. Unlike conventional medicine, which focuses on attempting to treat disease once it occurs, West Hartford Chiropractic LLC emphasizes improving your health in an effort to reduce the risk of pain and illness in the first place. Most people would rather be healthy and avoid illness, if they could. This is one of the main reasons for the big surge in the popularity of our wellness center. For some, West Hartford Chiropractic LLC will take them back to a place that is cozy and familiar, offering a rediscovery of health and wellness that had been previously known but long lost. For others, the journey may offer a new center, one never before experienced. People are recognizing the benefit of seeking an alternative to traditional medicine; one that will help them achieve and maintain optimal health. Please take the time to meet the doctor, team, and our wellness network dedicated to helping you achieve your wellness objectives. To fully understand the nature of your health we recommend you join our free website membership program. As a patient at West Hartford Chiropractic LLC we will personally tailor a wellness program specifically targeted to your wellness needs using the least invasive yet highly-effective techniques and services. Acute or Chronic Pain: pain or discomfort, either due to recent injury or a chronic condition, are excellent reasons for you to visit West Hartford Chiropractic to determine the most effective course of treatment. Rehabilitation: restoration of function despite physical disability. Development of a person to their fullest physical, psychological, social, vocational, and educational potential consistent with his/ her physiological or anatomical impairment. This includes post acute phase and post-operative care following surgeries following complex conditions such as the one to alleviating the pain associated with chemotherapy and constant surgeries that cancer patients undergo. Post Op/ Wellness Care for Mesothelioma is one example. Wellness: an active healthy balance of the mind-body and spirit that results in an overall feeling of healthy in body, mind and spirit. From an alternative medicine perspective- being much more than just disease free. It is the concept of practicing all the things that keep one well and involves maintaining good nutrition, exercise, stress-control, and good personal and familial/ social relationships. It is an Integrated and dynamic level of functioning orientated toward maximizing potential, dependent on self-responsibility.